Why wait for hours when you can get started within minutes. We have designed our account activation process to enable you to start accepting payments in less than 5 minutes. No need to open a new bank account for collecting online payments. By providing your bank account number and IFSC code you can link any existing Savings or Current account and receive payments in your preferred bank. Empower your users to pay through 50+ netbanking options from various banks. Manage your transactions, refunds, disputes and settlements from one single dashboard. Download reports across data segments or view real time transactions and take business decisions immediately. Managing your account has never been easy. 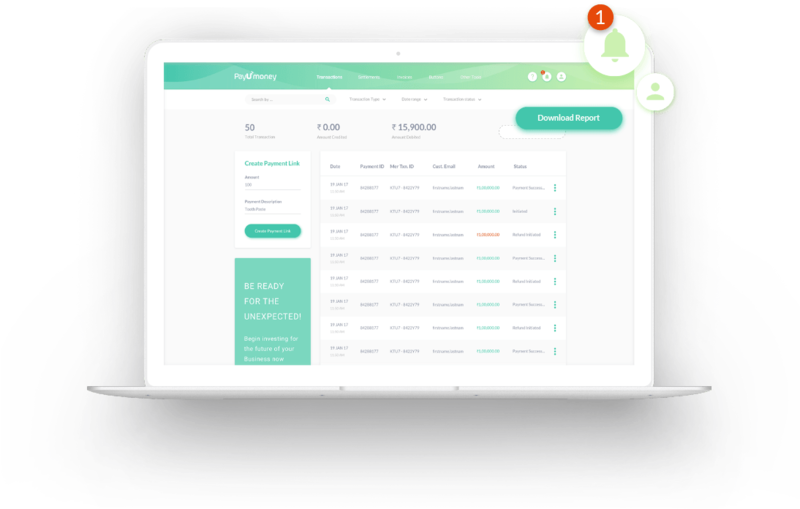 Edit your business details, bank details, notification settings, webhooks and reporting easily at one single place. PayUmoney’s notification system allows you to be always informed about important events and take actions on the go. Don't let customers leave your website. 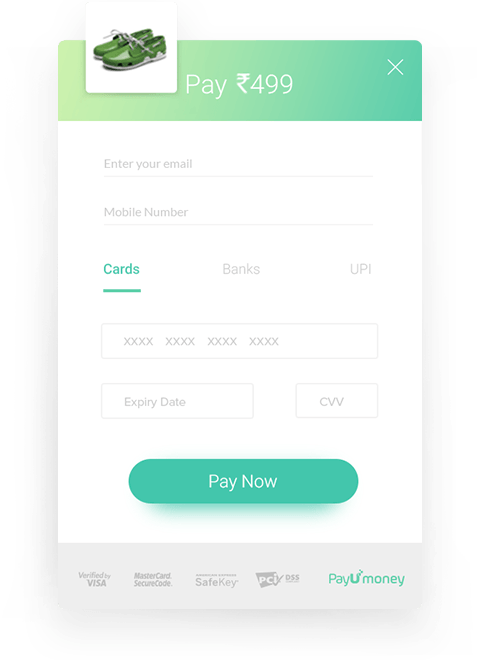 The crisp, simple, fast & intuitive solution helps you say goodbye to slow payment forms. 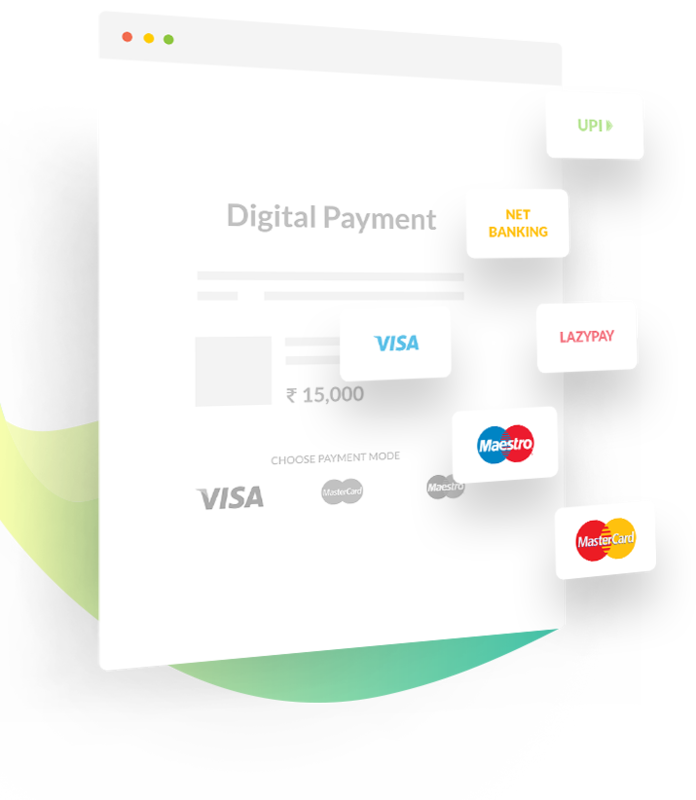 We deliver lightning fast payment services directly without redirecting users from your website. Built with highly optimized & responsive web design approach. It automatically adjusts checkout page for any device be it smartphones, tablets, desktops or laptops. Never worry about supporting new features and payment methods, once integrated get automatic updates. 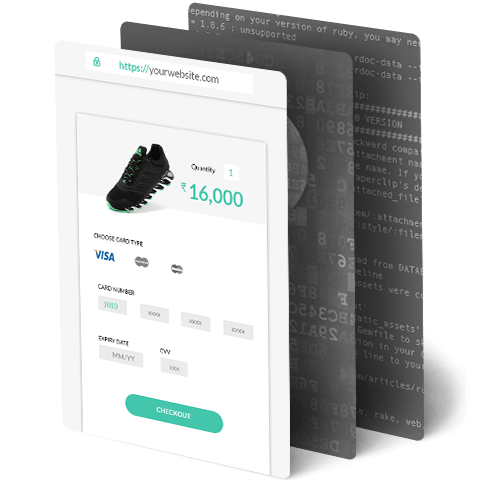 All you need to do is, add a few lines of code on your page and enjoy the seamless payment experience! In an ever connected world through smartphones, payments methods are changing fast. We enable you to be at forefront of this revolution through our lightweight and easy to integrate mobile SDKs for Android and iOS platforms. Our custom mobile browser makes data entry really simple. On Android, we can also auto read the OTP from the user's SMS app and fill it in! Long gone are drops due to the poor network. We pick up the transaction wherever it had dropped and finish it. No need to make your website https enabled for data security. All your transactions are secured with 128 bit SSL encryption and two factor authentication. We apply 100+ risk rules for each payment so you can focus on your business and rely on us for data security.